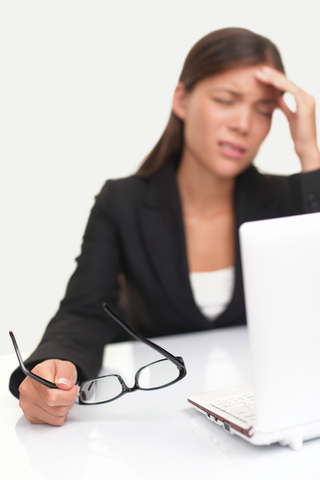 It’s not uncommon for people dealing with stress to develop teeth grinding, also known as bruxism. People who grind their teeth at night may do so unconsciously, but the condition requires treatment to prevent the development of headaches, TMJ, and tooth damage. If you’re a night-grinder, talk to Dr. Craig S. Donn. We may recommend a night guard. Research suggests stress and depression harm your immune system, making it easier for infections to develop and stick around. That can mean canker sores or a cold sore outbreak. If mouth sores are a recurring problem for you, give us a call to schedule an appointment with Dr. Craig S. Donn. Dr. Craig S. Donn and our team at our office know there’s not always an easy way to reduce your stress levels, but eating healthy, exercising regularly, and spending time with friends and family are all good places to start. You never know when a dental problem may arise. Unfortunately, they don’t necessarily occur during office hours. Dr. Craig S. Donn can provide you with the proper information and treatment options to prevent the problem from becoming worse. An abscess is a bacterial infection, and will normally cause pain and swelling around the affected tooth and gum area. Though antibiotics are not always necessary, you should be seen by Dr. Craig S. Donn as soon as possible. If left untreated, the infection may grow and cause more serious issues. If you experience an emergency, please contact our Cherry Hill, NJ office and provide us with as much information as possible. This way, we can offer recommendations that will assist you until you’re able to arrive for an appointment. Are there foods that whiten teeth? Coffee. Blueberries. Red wine. Tomato sauce. They might please our palate, but they are notorious for staining our teeth. Luckily, nature has balanced the scales for us! 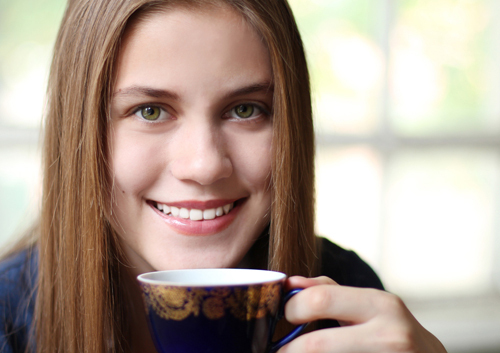 Here are just some of the foods that could actually help whiten your smile. The crunchy texture of an apple makes it perfect for scrubbing your teeth as you chew. The more you chew, the more saliva you produce. And saliva helps lower the amount of the bacteria in our mouths that cause decay, while washing away food particles that can stain our teeth. Raw broccoli florets look—and act—like tiny toothbrushes. Broccoli also contains high levels of iron which help protect our enamel from stains and erosion. More crunchy vegetables that scrub teeth. These are high in fiber, which acts as a gentle abrasive, and water, which stimulates healthy saliva production. These are nutritious snacks that both act as abrasives and increase saliva production. Pineapple is that rare fruit that produces bromelain, enzymes that help in digestion. These enzymes are also believed to help remove staining. Malic acid considered by many to be a natural whitener which helps break down stains, and strawberries are a great source for this organic compound. But don’t overdo, because too much acid is hard on your enamel. Of course, the real benefit of eating a balanced diet containing fresh fruits, vegetables, nuts, and seeds is nutritional, and any whitening that takes place is an added bonus. 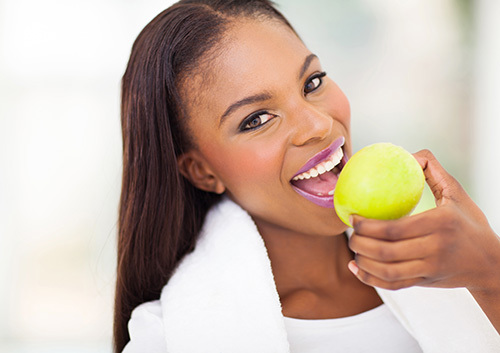 And eating healthy foods won’t take the place of brushing to keep your teeth clean and bright, especially if you are relying on sugary fruits for their whitening effect. If you want help whitening your smile, and diet and brushing alone aren’t the answer, give our Cherry Hill, NJ office a call and we’ll be happy to suggest other options. Until then, bon appétit!